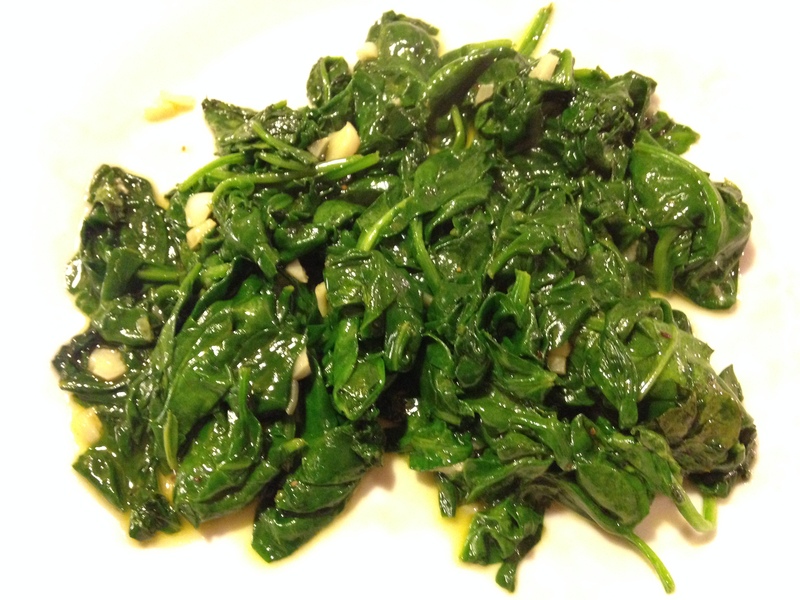 There is nothing quicker and healthier than wilting some fresh spinach as a side dish. To make it tastier, just hit it with garlic and seasoning. The first time you see a big bag of fresh spinach (or any leafy green) wilt down in a hot pan, the transformation is pretty cool to witness, it just shrinks down so quickly. Show your child this trick, and maybe it will intrigue them enough for them to decide to eat their spinach! Unfortunately, it doesn’t always work in my house, but Dad and I enjoy this even if the kids don’t. Pour a few drizzles of olive oil into a pan and put pan on medium-high heat. Crush two cloves of garlic into the warming oil and cook for one minute. All at once add a bag of fresh spinach. Use prongs to keep turning the fresh spinach around to coat with the olive oil as well as mix the garlic and get the spinach wilting, it will take only 90 seconds. Right before you serve the spinach, season with salt, pepper and nutmeg. A bag of spinach will wilt down to such a small amount as to only feed 2 or 3 spinach lovers, so you might need two bags to feed your family, if you are luckier than I am and can get the kids to eat spinach. 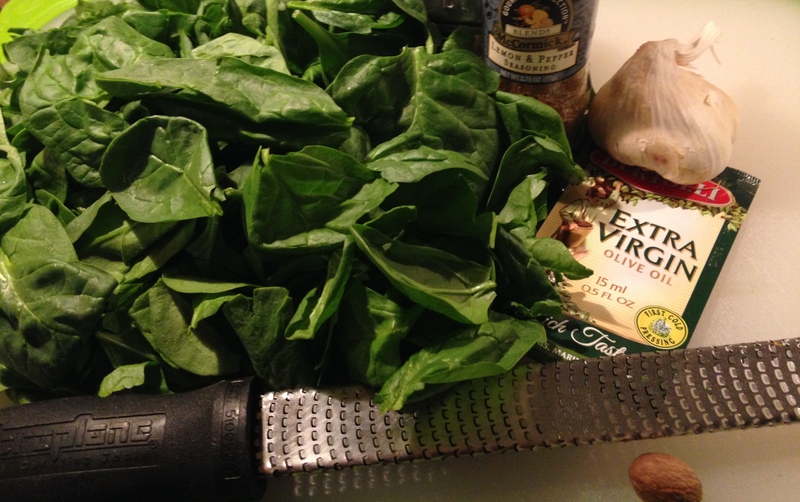 With any meal, I make the spinach after everything else is ready to serve, since it takes almost no time to cook.